Hello all, I have returned!! Well, actually, I returned from Italy a week ago, but I’ve been hit by an unfortunate side-effect of travelling – the post-trip come-down blues, to the extent that I’ve barely been able to look at my own photos, let alone write. I think this has also tied into my anxiety: the feeling of having had such a fantastic, active time, and worrying about if you’re ever going to feel that good again. 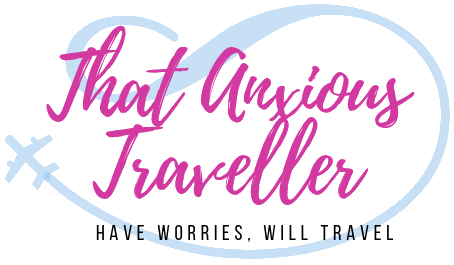 It’s not something that gets mentioned a lot after people travel, but it’s definitely real, and the post-trip anxiety can be just as crippling and upsetting as the pre-trip anxiety. To be honest, when I got home, I silently took my backpack up to my room, dropped it on the bed, and burst into tears. And I love my home a hell of a lot. So I’m still recovering from that a little. But it’s important that I get started on writing about my experiences whilst I was away, a) to recapture those feelings I had when I was in Italy, b) to share it all with you, eager travel fans, and c) because I think it may have actually changed my life a little. But I’m getting ahead of myself, and to properly share the story, I need to go back to the start, to a week before I left. The week before I went on my trip was actually fairly awful. 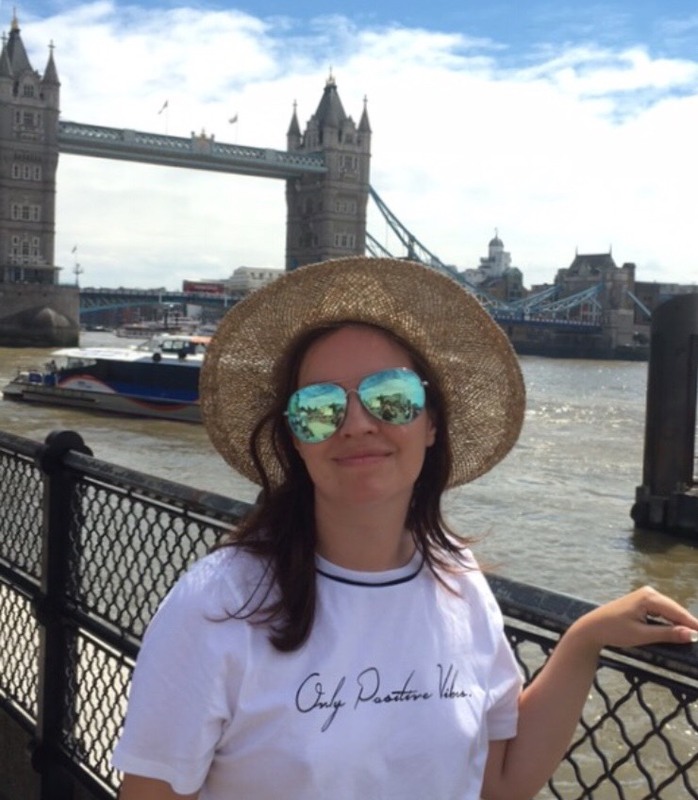 I’d planned to have a week’s solid rest before I left, as I knew it was going to be a pretty active trip, so I headed back home after two weeks away for work with the sole intention of taking it easy and going to Italy as energetic as possible. As I sat on the train, my throat felt a little sore. Not a problem, I thought, confident that I was just a bit dried out (I never drink enough on long train journeys, because who wants to use those toilets? If you’re from outside the UK and visit here, do yourself a favour and use any other toilet before you set foot on a train). The soreness got worse when I got home. It got increasingly worse in the next two days, to the point that it felt like a had a tennis ball lodged down there. Still, I thought, it’s only a sore throat; it’ll go off. When I get a cold, I usually only get the sore throat for about a single day, so I felt confident that it wasn’t that. Boy, was I wrong. The three days of sore-throatedness was obviously an incubation period for what is quite possibly the nastiest flu-like cold I’ve ever had. I was in bed. My limbs ached. My only respite from coughing was when I was asleep – indeed, I still have a bit of a cough as I write this nearly four weeks later. I woke up at all times of the night blindly searching for a tissue and drowning in my own fluids. It was the kind of cold when you start idly wondering if you should write down requests for your funeral (“everyone must attend wearing cat ears headbands, including the priest”). Happily I didn’t die, but instead my thoughts turned towards my now-imminent trip. How on earth was I going to enjoy myself feeling quite so wiped out? Was I going to suffer the fate of being one of those tourists you see who don’t ever leave the hotel and spend the entire time around the pool? Would I even make it to the pool? Would I even make it to Italy? Was I going to have to cancel this? Anxiety was a big factor here. Especially the flight – aside from being somewhat scared of flying anyway, I have an additional fear in that I can’t stand my ears popping; I hate the sensation, and I’ve always had a fear of my ears not popping back. I had flown once before with a cold, a much lesser cold, and the pain in my ears had been pretty unbearable. This was a big, big fear. My anxiety came very close to getting me to cancel; I started having some quite severe and upsetting anxiety dreams in the two nights before I left. Only on the day before I was due to travel did I decide, yes, I was going to go. The anxiety was not going to beat me. How would I ever be able to write this blog ever again? I wasn’t having that. I was still nervous on the train to Gatwick Airport. But when I actually got there, I had my usual reaction to Gatwick, that feeling of ‘ooo, travel!!’. I like Gatwick Airport a lot; it’s big enough that you have that feeling of international ground, a splash of glamour and modernity, but not so big that you get overwhelmed. Also, it’s changed and improved a lot since I was last there – automated passport/boarding pass checks are FREAKING AWESOME. I was to experience these in Naples Airport too, and my goodness, they really speed things up. Plus I just enjoy gadgetry, and I genuinely think that I enjoyed experiencing a simple scanner so much that it took my mind off my worries. And so did the shiny new Duty Free section, even if the way that you’re forced to go through it in order to get to the Departure Lounge rather reminds me of a branch of IKEA. My flight was delayed by about an hour; I busied myself by looking around the Departure Lounge shops. I refuse to sit somewhere and just let my jittering mind take over, so I took it for a walk. I had a look at headphones that I had no intention of buying, and inspected the menus of restaurants that I had no intention of patronising (holy crap, Jamie’s Italian; how much for a pizza?? Plus I used to work with someone who knew Jamie Oliver, and he was always less than complimentary about him. Bit of showbiz gossip for you there.) Finally, it was time to board. My nerve held. I’d had visions of getting on the plane, and having to shout out “stop, I need to get off! !” as the plane taxied on to the runway. Instead, I popped a sweet into my mouth and gritted my teeth. Well, it was fine. Absolutely fine. I had one of the calmest flights I’ve ever experienced, and I put this entirely down to one new tactic – I listened to a podcast. Not music – which I’d considered, to see if I could drown out the sound of the engines – but a podcast. I think this worked because I was actually having to struggle to hear it; one of the hosts I could hear very clearly, but the other was softly-spoken and I really had to concentrate to follow the conversation. I barely even noticed the noise and movement of the plane. Before I knew it, we were already preparing for the decent. The only drawback to the descent was that, yes indeed, my ears starting really hurting. Sucking a sweet was completely ineffective, and everyone seemed to be having the same problem (interestingly enough, everyone was rubbing their right ear; I’ve no idea if a particular condition of the descent can affect a particular ear). We landed during the reddest sunset I’ve ever seen, low in the sky and gorgeous, staining the land around Naples a deep red, swooping over houses and roads, a ribbon of slow-moving white and red lights. But my right ear was completely blocked, and I knew that it wasn’t coming back for a good while. Funnily enough, I didn’t freak out too much about this, which I always thought I would. I love the feeling of arriving in another country, stepping out on to the metal stairs which lead down from your plane, and getting that first whiff of different-smelling air. It was drier and warmer. My cold evaporated like it had never been there. I think that, combined with excitement and the thrill of having the flight over and done with, finally made something click in my brain. I felt happy. My stresses were gone, and I realised that I carry far too many of them when I’m at home. I felt right. Getting through Naples Airport was a breeze, and I was on my shuttle bus to Sorrento. 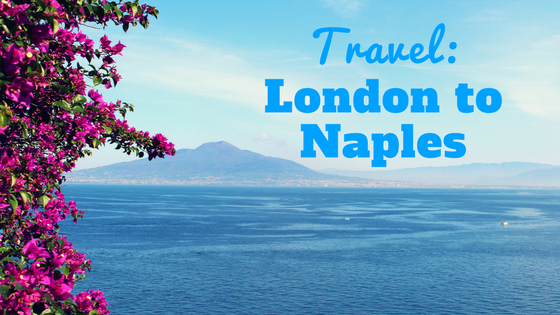 This was my fourth trip to the Naples area – I absolutely love it there, and there’s so much to see and do – and Sorrento is an idea base. It’s a beautiful town itself, but it’s ideally situated to see everything: it’s slap in the middle of pretty much everything you’re going to want to see, and travel to any of them will take less than an hour. But for now, I was content to sit back and watch Naples pass by, comfy in my bus seat. Night had fallen whilst I was collecting my bag and passing through the airport; now the city was dark and illuminated by streetlights. Naples is a bit like an alleycat – it looks a bit rough at first, you’ve heard that it’s mean, it’s got a few scratches and it’s missing a bit of tail. But you know that it’s due respect because of its tough attitude, and it feels more real because of it. And the more you see of it, the more you love it, and it starts to love you back because it’s a friendly alleycat at heart, but it needs to appear a little tough to survive. And one of the most interesting times to watch it is at night. As my bus went through the streets, unnoticed by the residents, I saw Italian late-night life unfolding in front of me in a series of tableaus, intimate moments frozen in a flash. I saw a floodlit field of young men playing football in Naples, surrounded by darkness except for their patch of light, throwing themselves into the game. I saw locals in Montechiaro, sitting on a low wall and laughing together, enjoying wares from a vintage street food truck which was parked in front of them and busily cooking, all oblivious to the gorgeous view of Sorrento by night which shone like stars behind them. I saw a shrine to the Virgin Mary on a street corner in Meta, on a dark road and locked away behind a gate, but blazing with illuminations and candles, well-kept and well-loved. I saw small children, not much more than toddlers, playing football in a piazza in front of a church in Piano di Sorrento, which family relaxed together in a trattoria a few feet away. I saw a couple in Sant’Agnello, perched on a Vespa in his n’ hers matching safety helmets, close together. It was Italy, away from the tourists; Italians out enjoying the evening and living life to its fullest. I loved it. I loved it as I always do in Italy. Whilst I’d been ill, I’d struggled to get excited about this trip; I’d been too stressed. Now I was ready. I got to my hotel and headed straight to bed. I had no further thoughts about spending time around the pool. First thing in the morning, I would get out and see Italy. Hope you’ve enjoyed this fist installment as much as I’ve enjoyed writing it! (ahh, feels good to get back in the saddle!) Have you visited this part of Italy before? Let me know in the comments, because I’m always keen to chat about it! And any other parts of Italy I should check out? Thank you for sharing your experiences travelling to Italy! I also have anxiety and feel that the actual “getting there” part of the trip tends to be the most stressful for me. As a side note, I also recently went on a trip and had a terrible cold before hand! Fortunately, it cleared up before I left. Yeah, it’s amazing how quickly the fears go away once you get there – I can almost feel my interest in the place I’m in getting bigger by the second, and squishing all the doubts until there’s no room for them. It’s a great feeling!